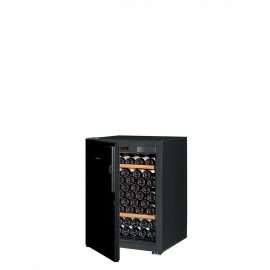 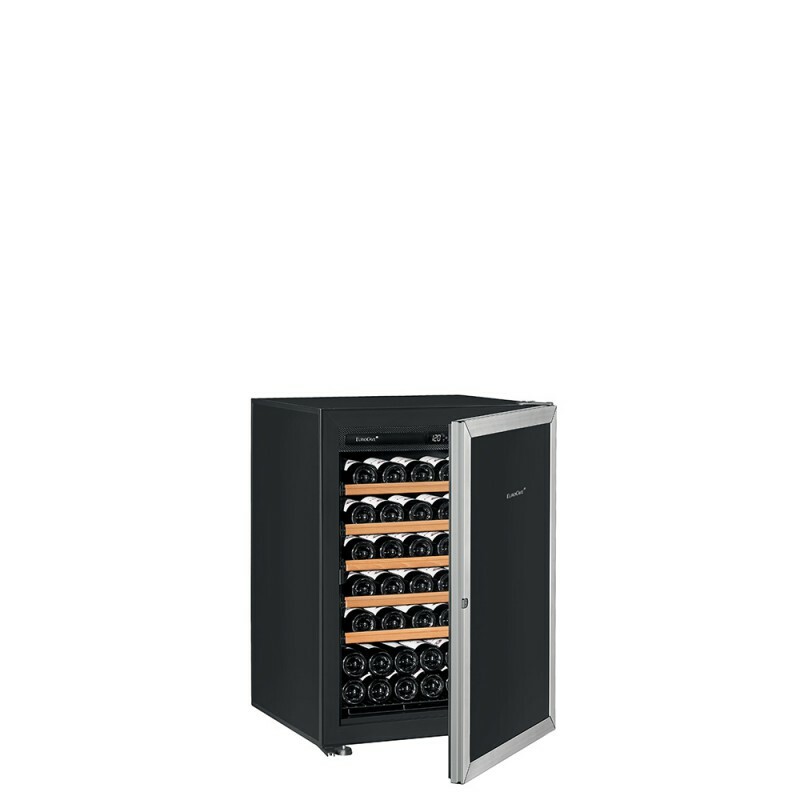 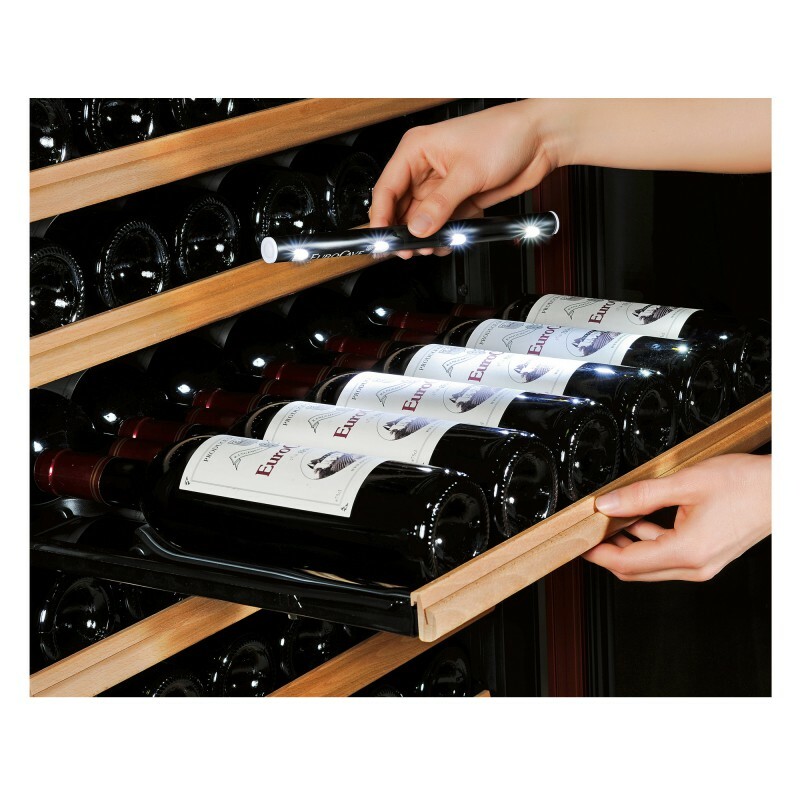 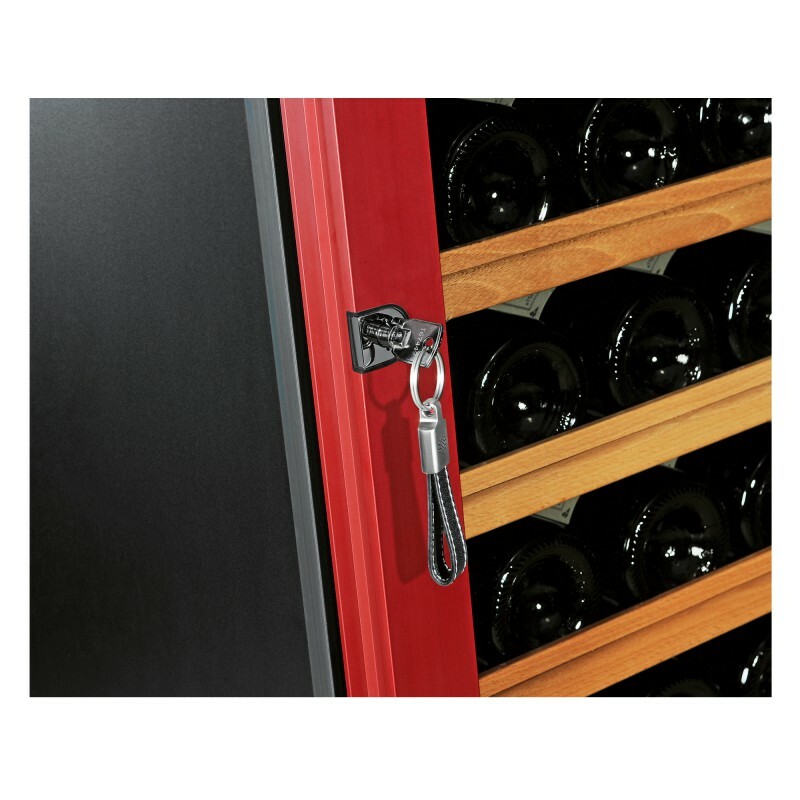 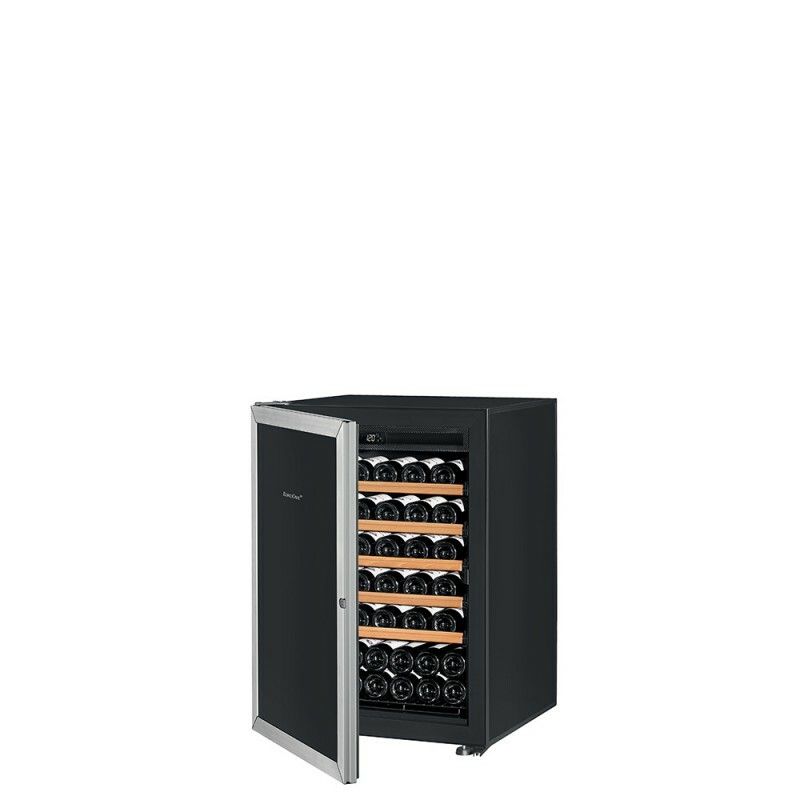 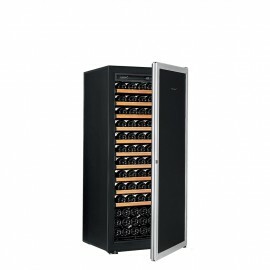 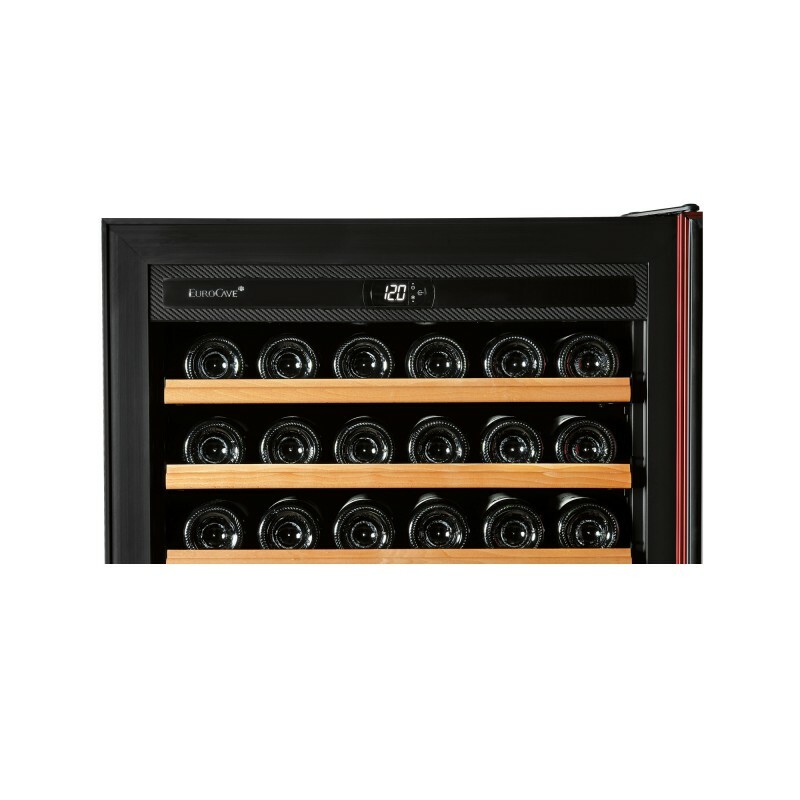 You can equip it with storage shelves or sliding shelves fitted with Main du sommelier supports. 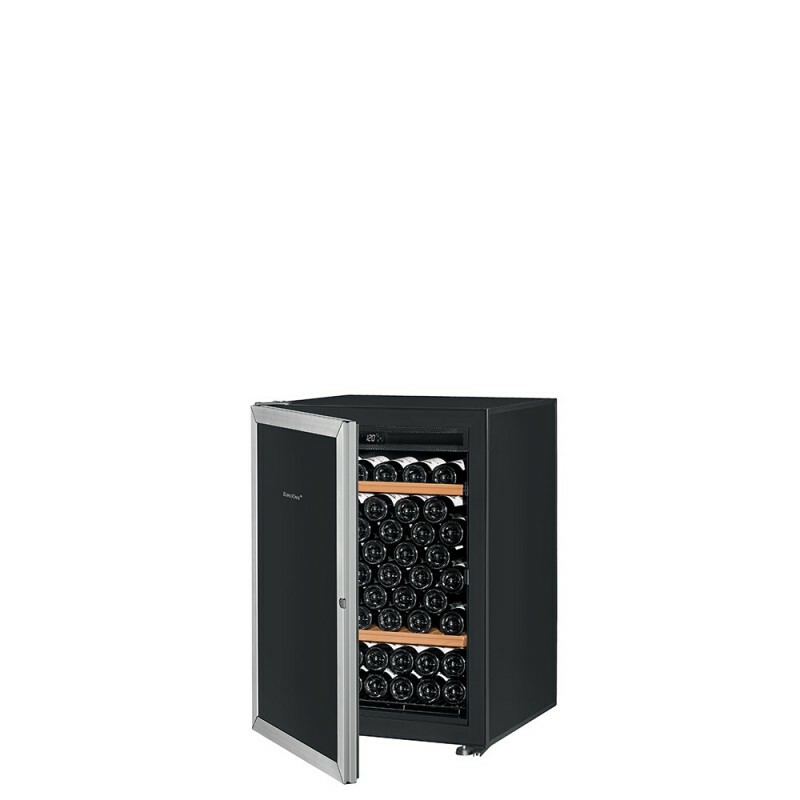 It has a maximum capacity of 92 bottles with 1 storage shelve and one sliding shelve. 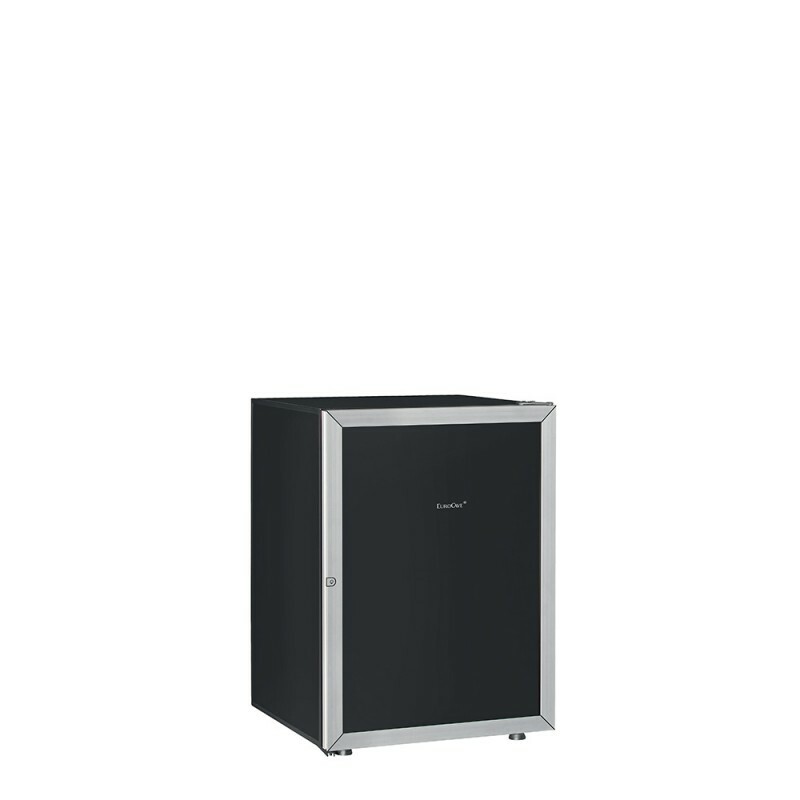 Clean lines and reliability are the keywords for this range of maturing cabinets which places all of the emphasis on content. 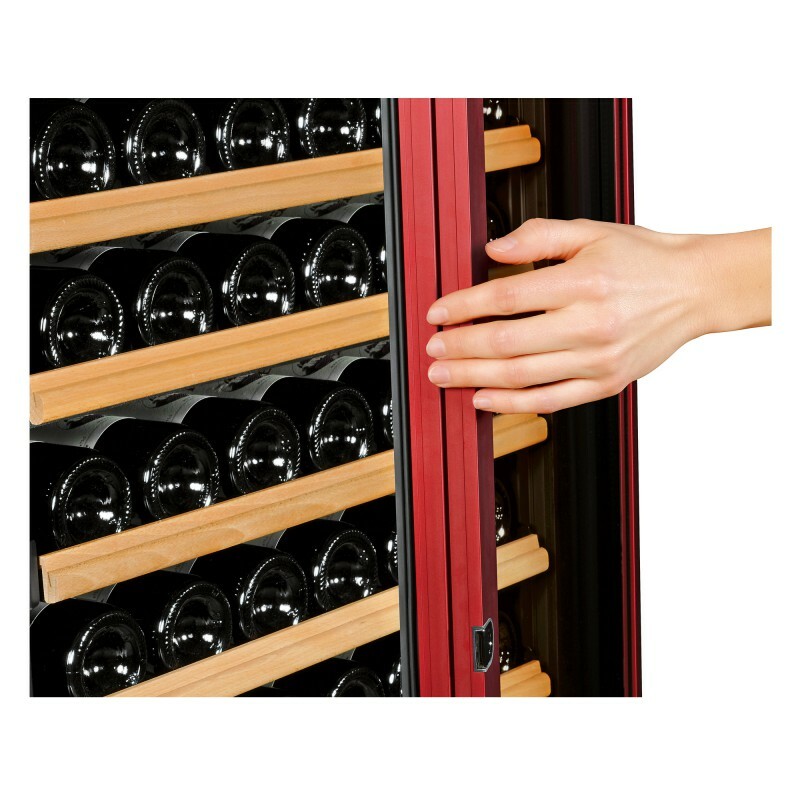 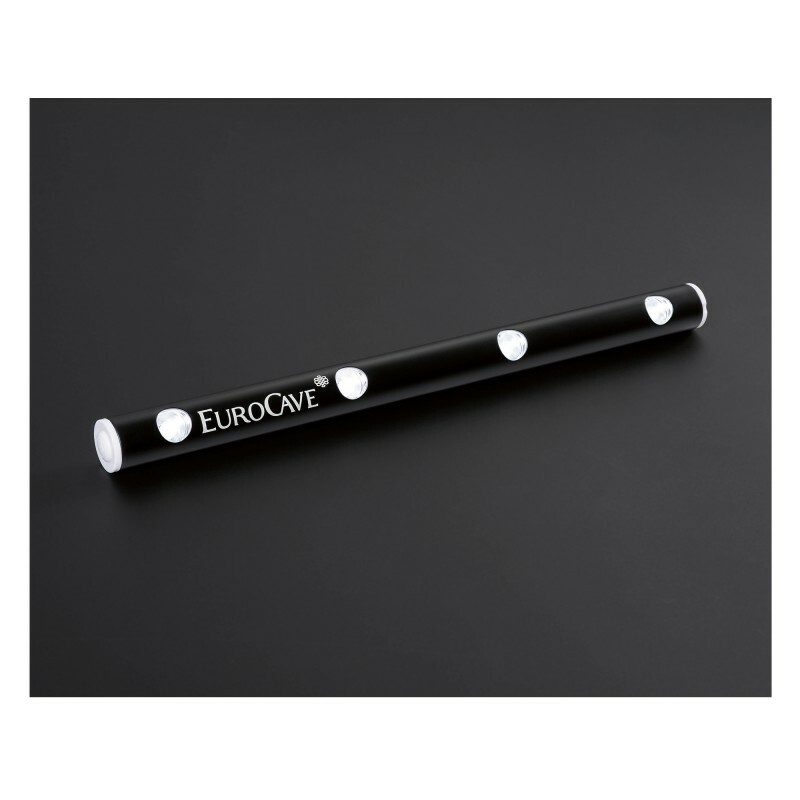 The cabinets are easy to use and their understated, simple design enhances the appearance of your bottles. 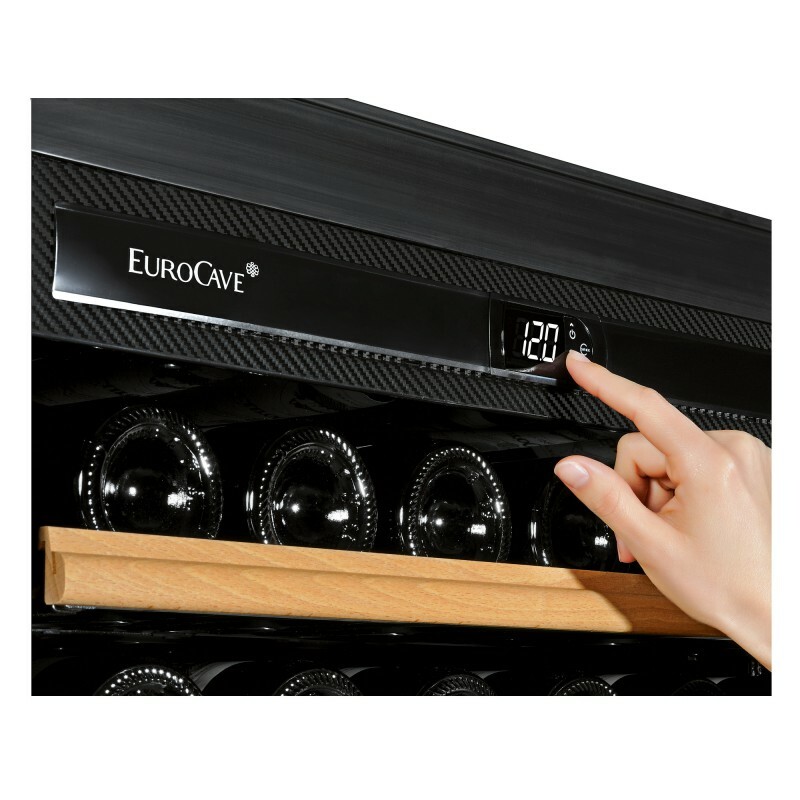 They observe to the letter all of the criteria essential for optimal wine maturing, found in a natural cellar: a constant temperature and thermal insulation, suitable humidity, protection against vibrations, constant ventilation.